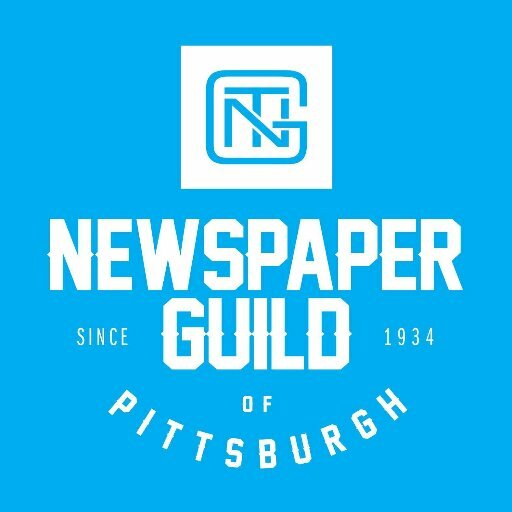 The members of the Newspaper Guild of Pittsburgh were saddened today to learn from a tweet by Rob Rogers that he had been fired as the Pittsburgh Post-Gazette editorial cartoonist. There is much we still do not know. Given the recent killing of a number of Rob’s cartoons critical of President Trump and conservative positions, favorites of the publisher and the editorial director, it perhaps is not surprising that this sad day for the Pittsburgh Post-Gazette, the Pittsburgh community and journalism has arrived. A Pulitzer Prize finalist and recipient of numerous national awards, Rob worked with verve and aplomb at both the Pittsburgh Press and Pittsburgh Post-Gazette. He is a true talent we were honored to know as a colleague and friend. He deserved much better treatment. It appears Rob’s only transgression was doing his job—providing satirical comment based on his political views of the world. There never was a problem before but with the new order of the Post-Gazette editorial pages, it seems that those who do not follow the pro-Trump, pro-conservative orthodoxy of the publisher and editorial director are of no use. The public should be assured that PG newsroom employees–150 reporters, photographers, copy editors, artists and others represented by the Guild–will continue to produce award-winning, unbiased journalism. Democracy depends upon it. As we do so, we mourn the fact that the PG editorial pages apparently are no longer the free marketplace of ideas.